The Chittenden Emergency Food Shelf is looking for turkey donations to provide Thanksgiving meals for low-income families. 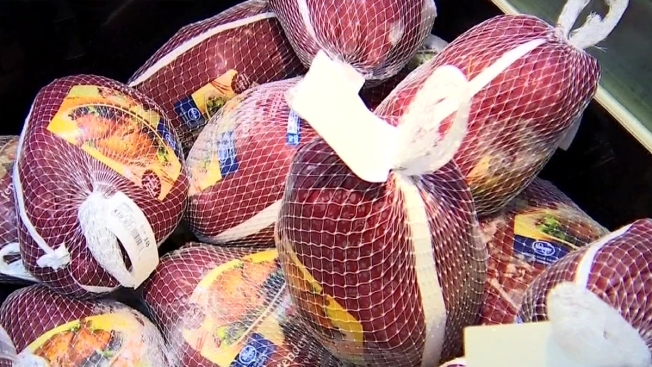 The food shelf hopes to give out 3,500 turkeys this year. Donations can be dropped off at the food shelf in Burlington. Organizers say community members may also donate turkey breasts and roasts as well as Thanksgiving fixings like mashed potatoes, stuffing, gravy, sweet potatoes, corn and green beans. The donations can be dropped off Nov. 14-16 and on the 19th between 7 a.m. to 6 p.m.; on Nov. 17 and 18 from 10 a.m. to 2 p.m. and on Nov. 21 from 7 a.m. to 4 p.m. The food shelf is the largest direct service emergency food provider in the state, serving about 11,000 people each year.